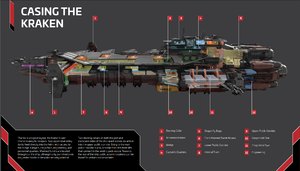 Turrets: Five manned and four remote turrets to provide complete coverage; suitable for both defense and attack. 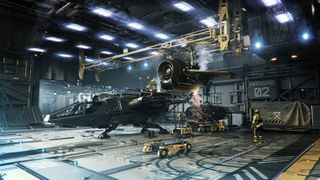 Internal Hangars: Two multi-purpose hangars for storing anything from supplies to cargo to ships. 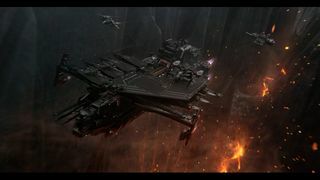 Landing Platforms: Six versatile landing pads support a varied fleet - four pads suit smaller fighters, while the two upper platforms accommodate medium-sized ships. 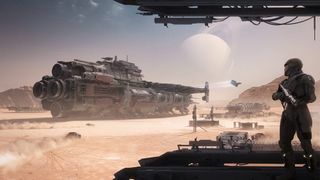 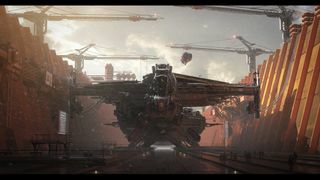 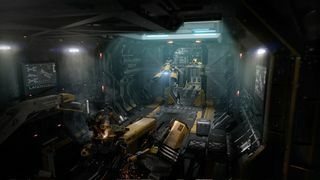 Dragonfly Bay: The rear of the ship consists of a vast cargo hold and a bay designed as a one-stop shop for Dragonflies, or other small vehicles, capable of rapid, dynamic deployment. 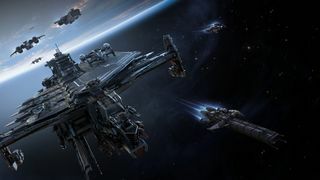 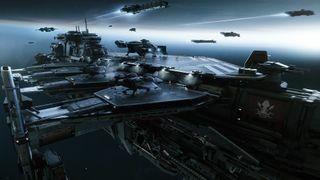 The Kraken was first introduced in 2017-12-01 in the vote "YOU Pick the Next Drake Ship". 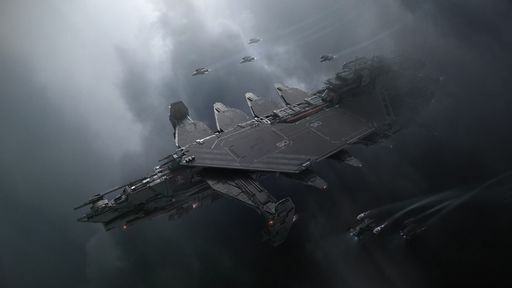 It came second in the vote to be the next Drake ship by backers with 37% of 37696 voters. 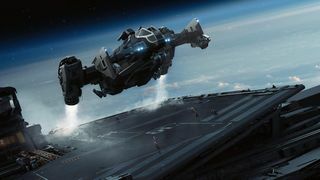 ↑ Comm-Link: Release the Kraken!